If you’ve been at all interested in the Chevrolet Camaro since General Motors resurrected the nameplate in 2010, then you’ve likely heard of the car’s spontaneous airbag deployment problem. For the uninitiated, there are several instances of the Camaro experience airbag deployment for seemingly odd reasons. One of the earliest examples of this happening dates back to 2012 when airbags deployed in a Camaro that was drifting. In 2017, another video surfaced of a heavily modified Camaro ZL1. Another time it appeared that the airbags deployed thanks to the loud volume of the exhaust system. 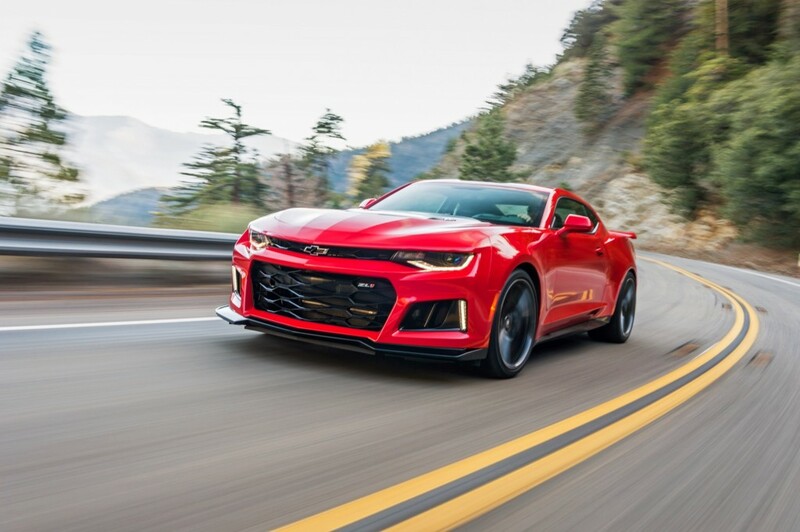 And this past summer, a 2018 Chevrolet Camaro ZL1 had its airbags deploy during a track-day event after the driver drove over some track curbing—but he didn’t hit anything. Now we have yet another video of a 2018 Chevrolet Camaro ZL1 with airbags that deployed for questionable reasons. The short video clip—about 30 second—shows the 2018 Chevrolet Camaro ZL1 navigating an autocross course—an open parking lot with cones to designate a track design. The driver loses the back end in the light rain, spins around, hits a pothole, and you can hear the airbag deploy in the background and an exasperated sigh from the driver. He didn’t hit anything, but GM’s passive safety system thought the disturbance was enough to warrant having the airbags deploy. You can see the Camaro get a tad unsettled driving over the pothole, but it’s not like he hit them doing 100 miles per hour. The video shows the driver hitting the cones at about 19 mph. Jalopnik contacted the driver who said in an emailed response that GM has denied the warranty claim altogether, stating that “the system acted as it should have to prevent injury.” The owner went on to say that the tire and wheel were fine and there was no external damage to the vehicle from hitting the pothole. He added in his email to Jalopnik that he’d decided not to fight GM on the claim. Instead, he paid out of pocket for the repairs, which cost him just under $6,400. Yikes. News of airbags deploying for minor jostles isn’t new for GM vehicles. The first high-profile incident we can recite is the airbag deployment of a Cadillac CTS-V Wagon – also on an autocross course – back in 2012. Last year, news reports starting flooding in that the Chevrolet Colorado ZR2 was suffering from spontaneous airbag deployment while hitting the off-road trails. However, in this case, GM announced it would recalibrate the airbags in the ZR2. Those airbag sensors were made in Kokomo. Indiana until GM decided that making them in a third world country was more profitable. Is it just a coincidence that the production of those sensors was moved months before the problems started and are still being made overseas to this day? Surprised? Everything is being moved to China. Isn’t that capitalism feeding the communists? Sounds like this is going to become a class action lawsuit for Camaro owners like it was for C7 Z06 owners. Own it GM and do the right thing. Your already losing sales to Ford and FCA so enough is enough. Well, well the bull s*** with GM airbags continues as my ZR2 curtain airbags deployed at an amazing fast 12 miles an hour last September… fought with GM for weeks over who is going to pay for it and finally they sent an inspector took over a 150 photos disassembled the interior decided they would covered! Repair took 45 days!! BUT, GM stated the caveat that I can NOT go off-roading again– WTH isn’t that EXACTLY what the Colorado ZR2 is designed for? That’s like someone who bought a Camaro or Corvette telling them not to go about 55 miles an hour on the freeway so no wonder GM is losing sales like previously mentioned and also it’s time to own up GM to this airbag issue!